Cowhide INSPO. 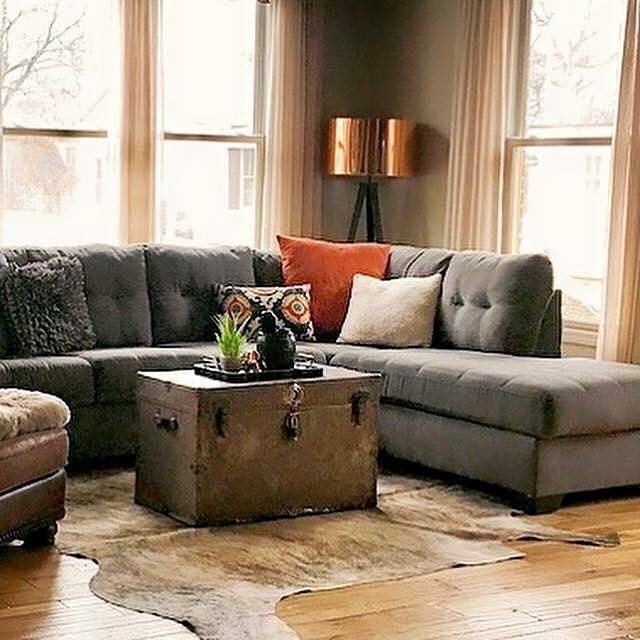 Gorgeous Brindle cowhide from Cactus Creek that makes this sunny living room the coziest space. The trunk is also a Cactus Creek find, it has a perfect amount of patina but still safe for little hands and holds all of the blankets and pillows. Thank you to my dear friend and amazing stylist Jones on Main for sharing your living room. It’s amazing. Click HERE for Cactus Creek's current inventory of Cowhide Rugs.